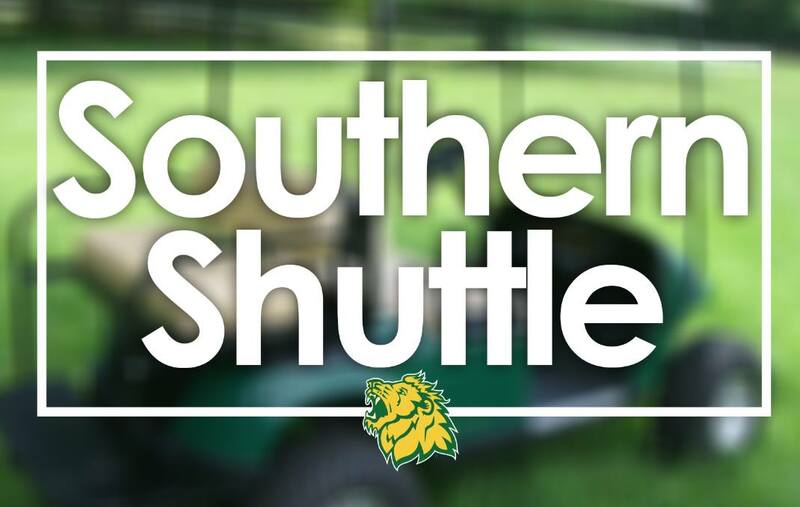 For the final week of the United Way campaign, the Southern Shuttle will be making its way around campus from 8 a.m. to 1 p.m. Monday through Friday, Oct. 28. The golf cart can shuttle students, faculty and staff to and from buildings or to the parking lots. Riders are free to make a donation or learn how they can text to donate.